This pack is filled with engaging math and literacy centers for Pre-K and Kindergarten students with a spring theme. 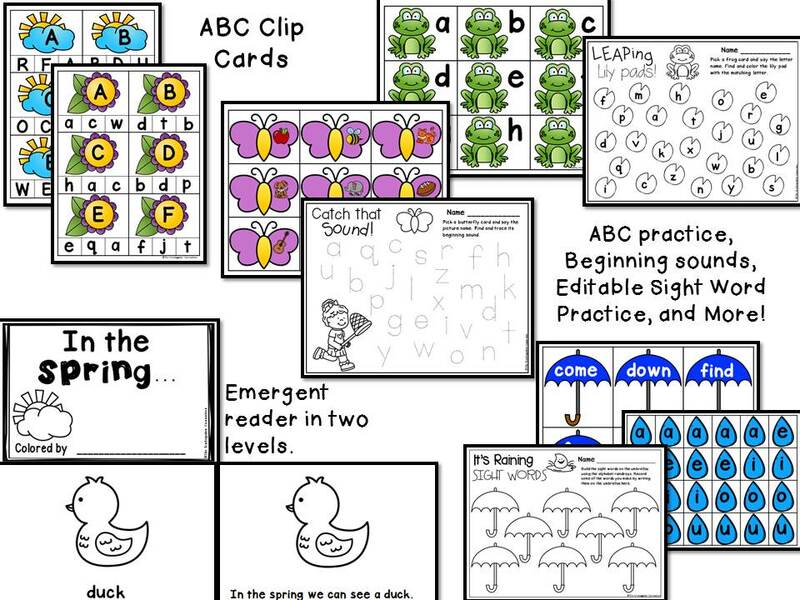 “In the Spring…” Emergent Reader (2 levels) – print a simple label style version, or one with a predictable sentence pattern. Copy two-sided and cut in half for two books! 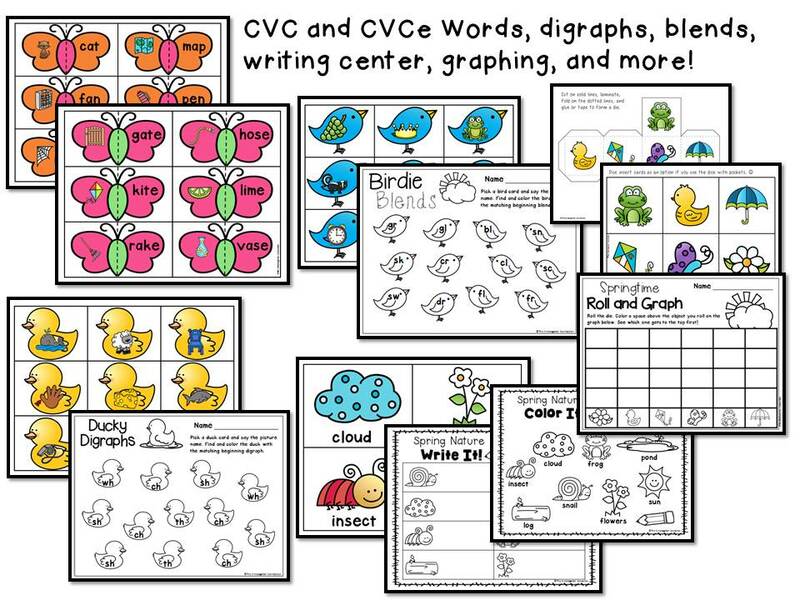 Butterfly CVC and CVCe Puzzles (2 sets) – Complete the butterflies by matching the CVC and CVCe pictures to their words (One set includes words on the pictures for word matching support). 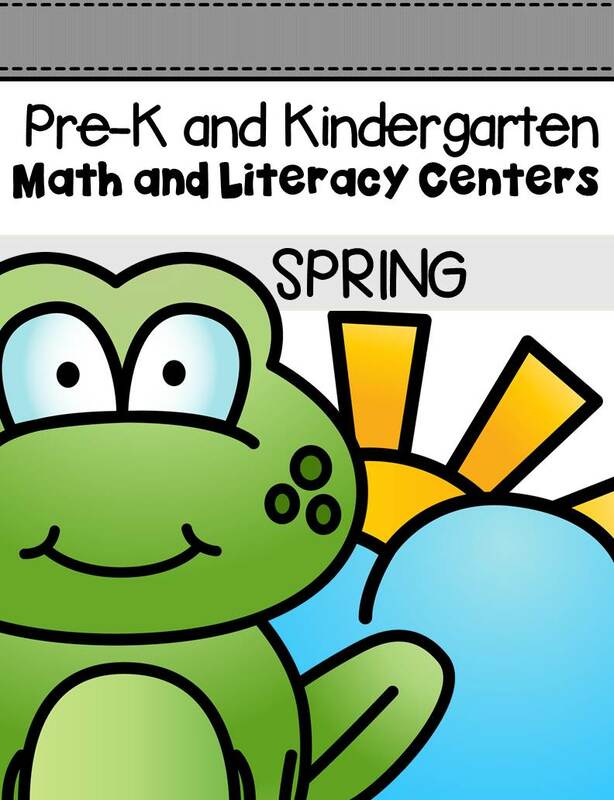 Leaping Lily Pads – Pick a frog card and say the letter name. Find and color the lily pad with the matching letter (Both upper and lowercase options included). 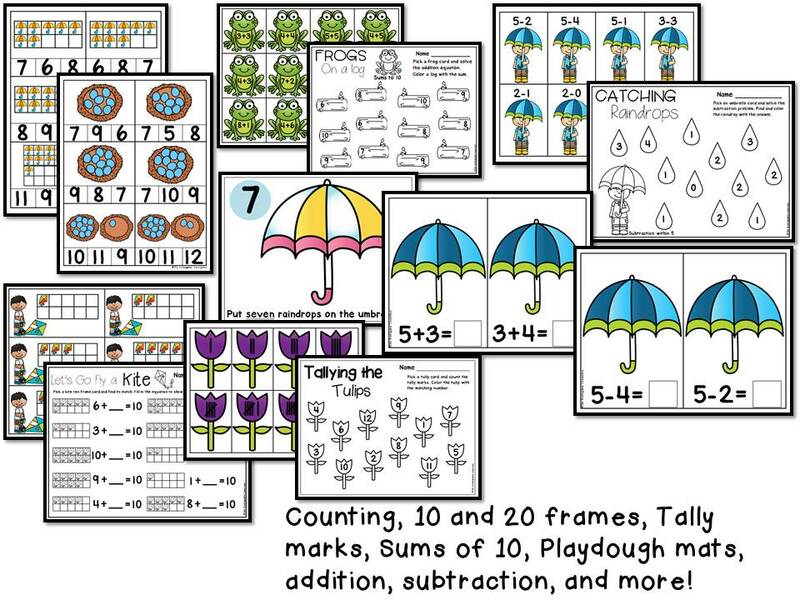 Umbrella Count and Clip – Count the umbrellas in the 10 and 20 frames and clip the total (sets to 20).